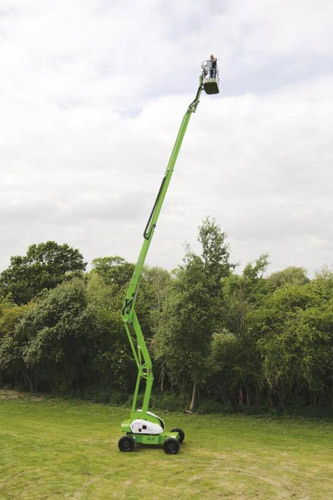 The Height Rider 21 2×4 (HR21 2×4) self propelled cherry picker will lift 2 persons and their tools to a working height of 20.8m or a working outreach of 12.8m. 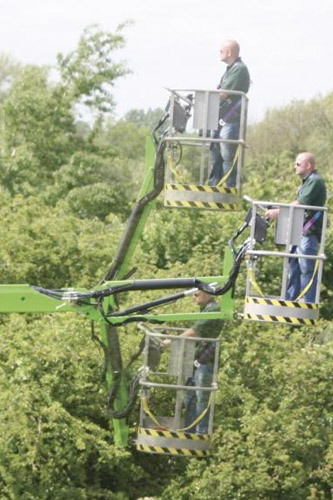 Proportional controls deliver smooth, measured operation while 100º cage rotation and 150º fly-boom allow precise positioning anywhere in it’s vast working envelope. Weighing just 6,500kg, the HR21 2×4 combines innovative weight and space saving design with an excellent turning circle to deliver outstanding manoeuvrability on-site and lower transportation costs. 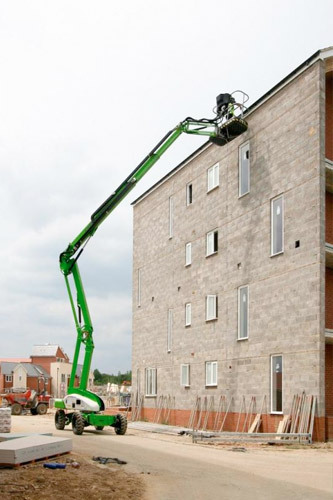 Available battery-only or Niftylift’s versatile Bi-Energy power option, combining electric with a TIER IV (Euro stage IIIB) compliant Diesel engine, the HR21 2×4 offers ultimate flexibility for maximised utilisation.